Eagles’ Wings is Calvary’s award-winning tutoring program. Now in its 29th year, Eagles’ Wings offers one-to-one tutoring for selected 3rd-6th grade students from next-door Mt. Eagle Elementary School. Students and tutors meet every Wednesday evening that school is in session from October through May. Tutors assist students with homework assignments as well as reading and math skills. Eagles’ Wings received the Fairfax County Outstanding Partnership Award. If you are interested in participating in our Eagle’s Wings program, please email Alice. Cooking Around the World Cooking Around the World expands Calvary’s partnership with Mount Eagle Elementary to offer a chef-taught hands-on cooking program for young students and aspiring chefs! Together they explore the cultural cuisine of ten countries around the world while learning about nutrition and building their skills and confidence in the kitchen. We are thrilled to partner with Common Threads, a national organization whose mission it is to educate children on the importance of nutrition and physical well being, empowering them to be agents of change for healthier families, schools, and communities. “Family and food have the power to nurture and strengthen us, to connect us to culture and community, and to teach and excite us about our world.” Visit them at www.commonthreads.org. If you’d like to help out with this program, email Heidi. Red Wagon Sundays are the first and third Sundays of each month. Members and guests fill the “little red wagon” (located in the sanctuary) with non-perishable food items that are delivered to the United Community Ministries food pantry. Contact Barbara with any questions! Be the Kingdom Sundays is one of those ideas that started as a small “seed” and has become a bi-annual Calvary tradition. 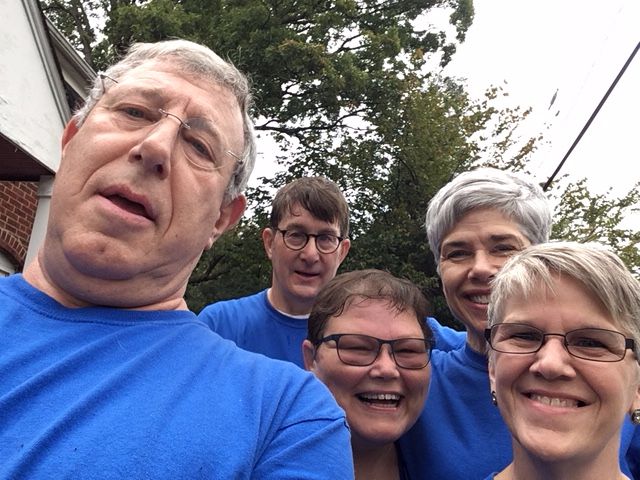 Two Sundays a year, we gather in work clothes at our regular 10:00 AM worship time for a “sending” prayer and a hymn, and then disperse to to worship through serving our corner of Alexandria’s Route 1 corridor. 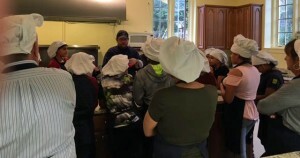 Our projects have included cleaning and painting affordable housing units, working in a local park, making sandwiches for the homeless, stuffing “Mended Heart” pillows for recovering surgery patients, making soup for the ill and grieving, and assembling hygiene kits that are distributed to disaster-stricken areas through the PC (USA) Disaster Assistance Program. The day concludes with pizza in the fellowship hall followed by Communion. (Link to BTK page with ministries.) Our “BTK” Sundays typically take place in the middle of October and the Sunday after Easter. Barbara will be able to answer any questions you have about our “Be the Kingdom” Sunday. The Calvary Book Drive occurs each May for 3-5 year-olds attending the Lee District Child-Care Center and backpacks in the summer for United Community Ministries’ back-to-school drive. Christmas shoeboxes are filled each November, which are delivered around the world to needy children by Samaritan’s Purse. Calvary generously responds to special offerings collected throughout the year for Presbyterian Disaster Assistance, Church World Service, and Presbyterian Women’s Blankets and Tools drive. It has also become a Calvary tradition to donate at least two water wells each year through the Presbyterian Mission Agency. Calvary Kids get in on the action by raising money during Advent for pigs and chicks to also be donated to struggling communities in developing countries.